India’s leading Distributor-Wholesaler, Exporter, Supplier, Importer, Manufacturer and Trader for PVC Resin from Reliance, Formosa, LG Chem, CGPC, Thai Plastic, China General , Ineos Vinyl, Solvay, Vinnolit, DCM Shriram, OPC, Zhontai Chemical, Chemplast, Finolex and many more imported. Material available at Ahmadabad, Delhi, Daman, Salem (TN) for more information please visit websitePolyvinyl chloride or PVC Resin is the world's third most widely used plastic and is an alternative to attractive traditional materials such as glass, metal, wood, and other plastic materials because of its versatility, durability, Weather ability and cost competitiveness. It appears as a white powdery solid. Polyvinyl chloride or PVC Resin is a product based on two of the earth's natural resources, salt and oil. Salt water electrolysis yields chlorine (in addition to hydrogen and caustic soda). Ethylene can be derived from naphtha when oil is refined. Chlorine and ethylene can be combined to form the monomer, VCM (vinyl chloride). PVC results from the polymerization of VCM. PVC cannot be processed on its own due to its very low thermal stability and high melt viscosity. Therefore, it is necessary to combine with the PVC a number of suitable additives to give a wide and varied range of properties to satisfy many different end-use applications. It is this scope for generating a wide range of properties through appropriate formulation that gives PVC a broad application coverage that is unmatched by any other commodity thermoplastic. Description:- Polyvinyl chloride or PVC Plastic Resins is the world's third most widely used plastic and is an alternative to attractive traditional materials such as glass, metal, wood, and other plastic materials because of its versatility, durability, Weather ability and cost competitiveness. It appears as a white powdery solid. Polyvinyl chloride or PVC plastic Resin is a product based on two of the earth's natural resources, salt and oil. Salt water electrolysis yields chlorine (in addition to hydrogen and caustic soda). Ethylene can be derived from naphtha when oil is refined. Chlorine and ethylene can be combined to form the monomer, VCM (vinyl chloride). PVC results from the polymerization of VCM. This method is highly cost effective. Suspension's production is about 80% and other all categories is round 20%. Suspension PVC used in PVC pipes -fitting, electric wire and cable, uPVC pipes-fittings, PVC clothing, PVC furniture, PVC medical tubes and parts, PVC flooring, PVC door-window, PVC footwear, PVC blister film, PVC rigid sheet, PVC flexible film, PVC packaging film, PVC lamination film, PVC stretch film, PVC shrink film, PVC celuka foam board/sheet, WPC sheet, WPC profiles-chokhat, PVC free foam sheet, advertising flex banner, PVC suction-garden tube, PVC rigid/flexible profiles, automotive products and other many application. 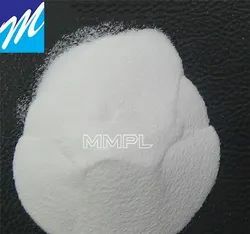 This process produces finer particles and the product is mostly used in Artificial leather, paint coating, wall paper, toys, leather cloths, dip molding, Conveyer belt, tarpaulin coating, flooring and other many application. Bulk PVC is used for specific types of hard sheets, Fitting, Foam sheet, bottles and other many application.